The reinforcement brace connects the geabox/propshaft tunel at the front just below the gearbox. It is standard reinforcement on later cars (1.8 and MK2, MK2.5s). 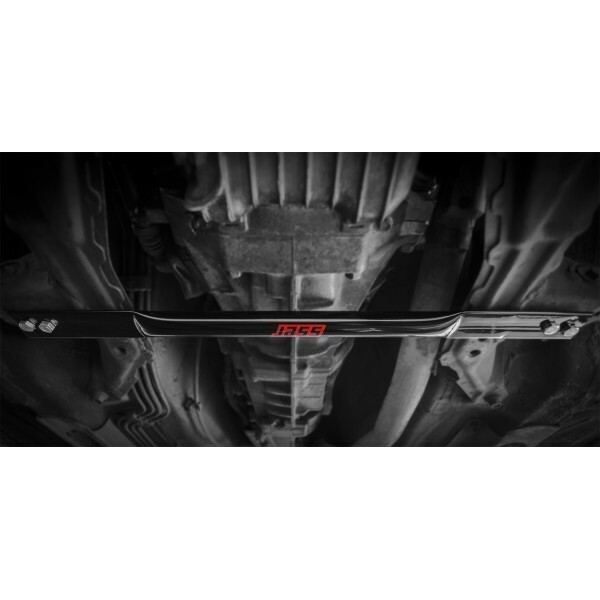 This brace is essential for the MX5 and add noticable stiffening to the chassis. This version of the brace is made to work with early and later MK1, MK2 cars. 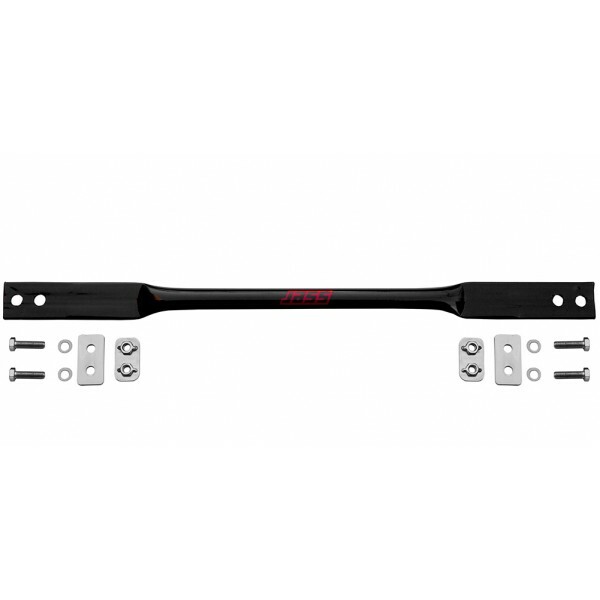 It offers two connecting points on each side and leveling brackets to direct correctly the force flow. It bolts to provided bracket with two welded nuts, to ease the installation in the limited space.